You have added Posh and Professional Belted Pencil Dress in Blue - Plus Size into shopping cart. FINAL SALE. You'll be posh and professional when you show up in this classy pencil dress--whether you're in the boardroom or having drinks with friends after work. 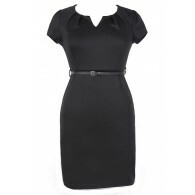 The Posh and Professional Belted Pencil Dress is made of a comfy fabric with a bit of stretch to it. 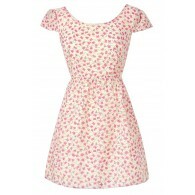 It has a unique neckline with pintuck details and a V dip in the front. 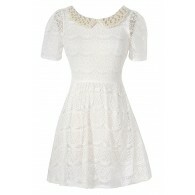 Flirty capsleeves add a delicate touch to this dress and a pocket on each side will hold all your essentials. An included belt wraps around the waist, creating the perfect contrast to an otherwise simple and chic look. The Posh and Professional Belted Pencil Dress would look perfect paired with pumps and minimal jewelry. Details: Made in USA. Belt included. 88% polyester, 8% rayon, 4% spandex. Hand wash cold. No bleach. Color separate. Hang dry or Dry clean. 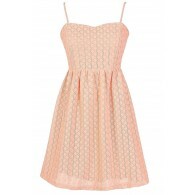 Size XL measurements: Length from top of shoulder to hemline: 37". Bust: 36". Hips: 40". You have added Posh and Professional Belted Pencil Dress in Blue - Plus Size into Wishlist. 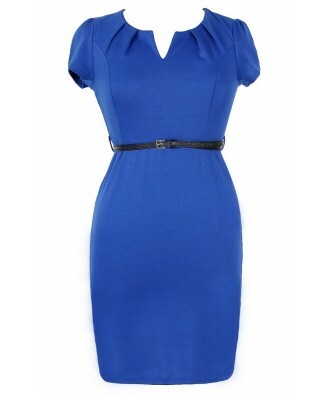 You have added Posh and Professional Belted Pencil Dress in Blue - Plus Size for Stock Notification. You have set Posh and Professional Belted Pencil Dress in Blue - Plus Size as a loved product. You have removed Posh and Professional Belted Pencil Dress in Blue - Plus Size as a loved product.